A little known tech company is at the center of a debate over power on the internet. Cloudflare, a security firm that provides protection from cyberattacks and helps websites perform faster, removed a neo-Nazi website, The Daily Stormer, from its network last week. The move left the website vulnerable to hackers by taking away its security protection. 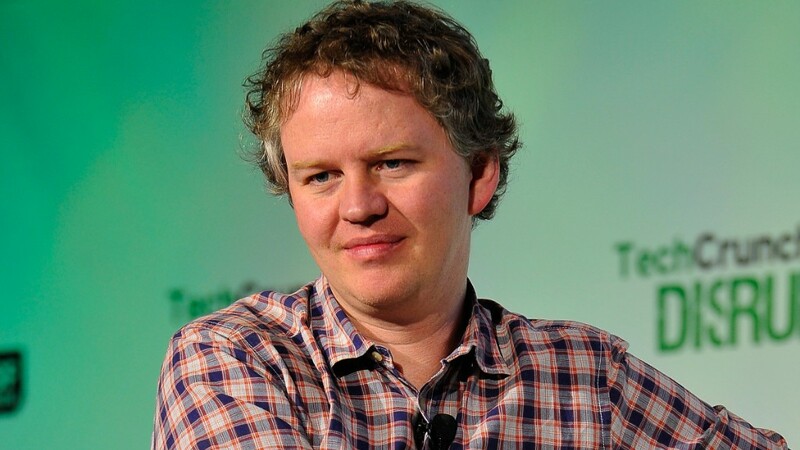 But Matthew Prince, cofounder and CEO of Cloudflare, is now questioning whether that decision was the right one. In an interview with CNN's Paula Newton on "Quest Means Business" Thursday, Prince said the removal sparked a necessary conversation about censorship online. "You win a lot of points for firing Nazis from using your service," Prince said. "But it sets a dangerous precedent when a company that most of your viewers have never heard of is effectively deciding what can and cannot be on the internet." Ten percent of all internet requests pass through Cloudflare's network, but unlike Facebook or Google products you see all the time, Cloudflare is part of the internet's infrastructure. It's invisible but important. Prince acknowledged that the internet community might not be comfortable with the notion that an obscure company has the power to censor what's online. Offensive and harmful internet content is by no means new, but tech companies are only just starting to confront the role they've played helping to distribute and support that content. Twitter, for example, plays whack-a-mole with some harassers and keeps other offensive tweets online. The Daily Stormer site was also dumped by web-hosting services GoDaddy (GDDY) and Google (GOOG) after it published a derogatory story about Heather Heyer, who was killed while protesting against a white supremacist rally in Charlottesville, Virginia on August 12. Following the violence in Charlottesville, many tech companies cracked down on hate groups. Facebook (FB) removed a number of white supremacist groups; PayPal (PYPL) blocked payments to white supremacist accounts; GoFundMe banned crowdfunding campaigns for the driver who killed Heyer; Apple (AAPL) reportedly blocked payments to websites selling Nazi-themed goods; and Airbnb kicked off users who were associated with the Charlottesville rally. The Daily Stormer moved its content to a dark web website last week that's only accessible through Tor software. The decision to drop The Daily Stormer is controversial -- and one Prince didn't take lightly. His interview with CNN's Newton is the latest in a string of public comments he's made about whether he did the right thing. Earlier this week he wrote an op-ed in the Wall Street Journal, echoing the concerns he first outlined in a blog post. "When standing up to government requests or angry Twitter demands to silence unpopular speech, it was powerful to be able to say we'd never terminated a customer due to political pressure," he wrote in the WSJ. "I'm not sure we can say that anymore." According to the nonprofit Electronic Frontier Foundation, censoring neo-Nazi content is a "dangerous moment" for the internet and expression online. "People cheering for companies who have censored content in recent weeks may soon find the same tactic used against causes they love," executive director Cindy Cohn wrote this week. "We must be careful about what we are asking these companies to do and carefully review the processes they use to do it." The organization has worked on a number of cases where big corporations and government officials have asked companies to remove content they didn't like, effectively silencing artists, activists, and others. Some people now applauding the censorship may one day be censored, Cohn said. Prince told CNN there should be a public debate involving companies, government, and users about who is responsible for making censorship decisions. He asked: Is it companies like a website's host? The platform it uses? Or the content creators themselves?